Her first engagement in Europe brought Sra. Alperyn to the Musiktheater im Revier, Gelsenkirchen, Germany. Later she was the first mezzo soprano of the Hessen State Theatre, Wiesbaden, where she debuted Sextus, Octavian, The Composer (ARIADNE,) Fricka (WALKUERE,) Charlotte, Carmen, Dalila, Eboli and Santuzza. Since becoming an independent artist she has sung in Barcelona, Hamburg, Copenhagen, Oslo, Bologna, Rio de Janeiro, Chile, Taipeh, as well as the important festivals in her own country and abroad (among others in 2000 at the Verdi-Festival Prague). Most often choosing CARMEN as her debut role of choice, Graciela Alperyn has gone on to appear in nearly all the world's leading opera and concert houses and with famous other singers, so with Neil Shicoff, Francisco Araiza, Placido Domingo. Important recent portrayals of CARMEN have included Ponelle's justly famous Zurich production, as well as the festival in Avenches, the Bavarian State Opera Munich (Director: Lina Werthmüller), Venice, Sao Paolo, Ascoli - all crowned by her triumph as at the Opéra de Paris, Bastille. Fortunately she has committed this parade-role to disc for Naxos. Further to recordings, 1998 saw the much anticipated appearance of her first SOLO CD, featuring mezzo soprano highlights from the Italian, French, and Spanish repertoire, so as CARMEN, SAMSON ET DALILA, LA FAVORITA, DON CARLO; and in 2000 she recorded Azucena inVerdi's IL TROVATORE for Arte Nova classics. Most recently the Festival Berlioz presents its new CD "Il Teatro Immaginario di Berlioz" with Graciela Alperyn among others from the La Fenice in Venedig. Due to her scrupulous musical preparation, Sra. Alperyn has found favour with many of the world's most renowned conductors; among them James Conlon, Garcia Navarro, Rafael Frühbeck de Burgos, Ulf Schirmer, and Hans Wallat. Graciela Alperyn is, moreover, a muchsought after Lied interpreter and frequently performs in opera gala concerts. In Buenos Aires she is also known for her masterclasses since years. Among her many concert performances, Verdi's REQUIEM MASS appears most often in her busy schedule - She is featured on the Koch international recording and recently sang in Parma, Istanbul with TV-Live-Broadcasting and at the Festival of Avenches. In October 2001 she was again a celebrated Azucena in Sao Paolo. Future plans are Amneris (AIDA) at the "FESTIVAL BURG EHRENBREITSTEIN" in summer 2002; Dalila in Sao Paulo in September 2002; in November 2002 LA TENTATION DE SAINT ANTOINE (Egk) with the Orchestra de Piccardie in France and Marie (WOZZECK) at the Teatro Colon (Buenos Aires). 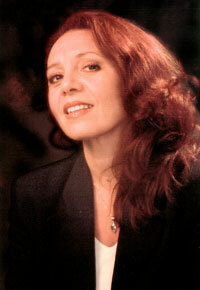 In 2003 Graciela Alperyn sings ERWARTUNG (Schönberg) at the Staatsoper Budapest in April and Azucena (IL TROVATORE) in May. Celebrated debut as Herodias (Salome) at the Teatro Colon in Buenos Aires. There she also sang the Brangäne (Tristan and Isolde) and Azucena (Il Trovatore). Parallel to their success on the opera stage Graciela Alperyn is still devoted to the song and concert repertoire. Her frequent appearances at recitals and concerts, they show as an extremely versatile singer with a large repertoire, which is on the concert stages of Europe, Israel and South America cheered repeatedly by the press and public. In Buenos Aires she heads for years very successful Master Classes. Guest appearances as Azucena and Delilah took her agaain to Sao Paolo. Amneris (AIDA) in the "FESTIVAL CASTLE Ehrenbreitstein," La Tentation de Saint Antoine (Egk) with the Orchestra de Picardy in France, and Marie (Wozzeck) at the Teatro Colon (Buenos Aires). Performances in THE EXPECTATION (Schoenberg) at the State Opera House Budapest and Azucena ( Il Trovatore), there as well, Herodias (Salome) in Santiago, Chile, and continues as Eboli in DON CARLO at the Castle Festival in Schwerin. Huge success with Berlioz's "Nuits D'ETE" at Santiago de Chile and Fricka (DAS RHEINGOLD, Wagner) at the Teatro Colon at Buenos Aires. Concerts and master classes in Taiwan, Italy, Buenos Aires, Germany, Spain, etc. inter alia Recitals in Tokyo, Clytemnestra (ELEKTRA, R. Strauss) in Santiago de Chile. BORIS GODUNOV (Mussorgsky) and the recital at Teatro Colon Buenos Aires, Masterclasses in Germany, etc. Awarded the honorary title of "Outstanding Personality of the culture" through the city of Buenos Aires, Argentina. Graciela Aperyn - Mrs. Quickly.